Looking for a special gift this season? 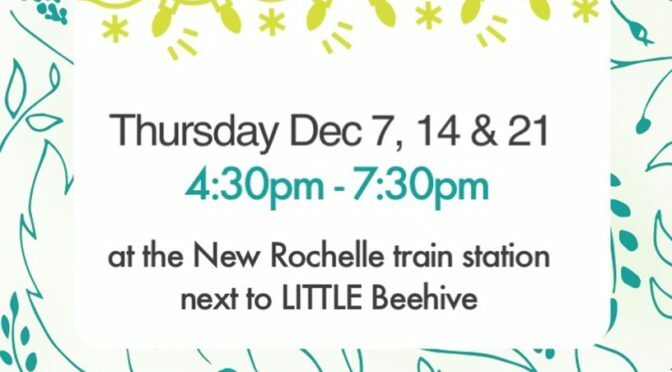 Well, then visit the New Rochelle train station. That’s right: the train station. 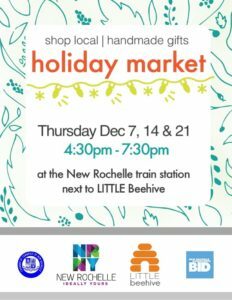 From 4:30pm to 7:30pm on the next three Thursdays — December 7, 14, and 21 — a Holiday Market at the train station will offer interesting and unique gift items from local artisans and vendors. 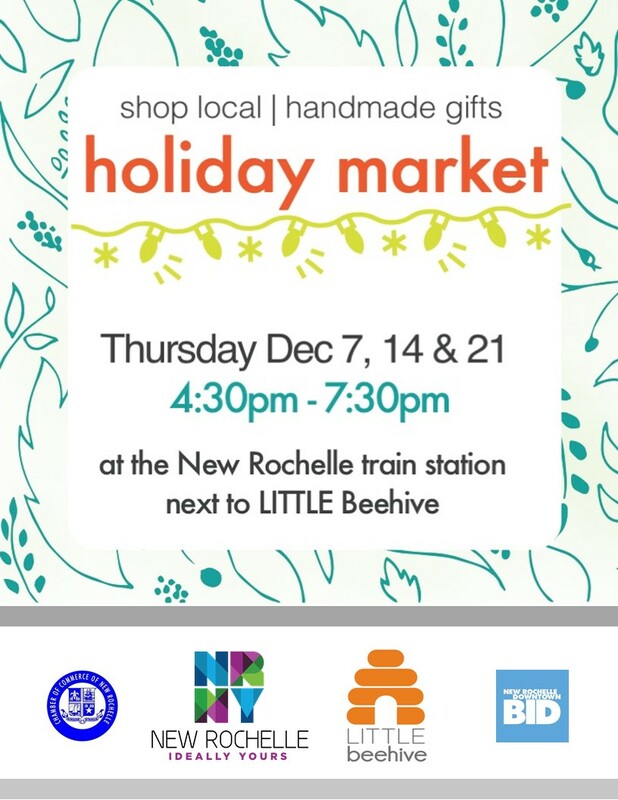 It’s hosted by the Little Beehive, a lovely new store that just opened in our transit complex, and it’s supported by the City, the Chamber of Commerce, and the Business Improvement District. There’s more in this flyer.